In order to use the Ezejump application you will need a Swift Labs account. 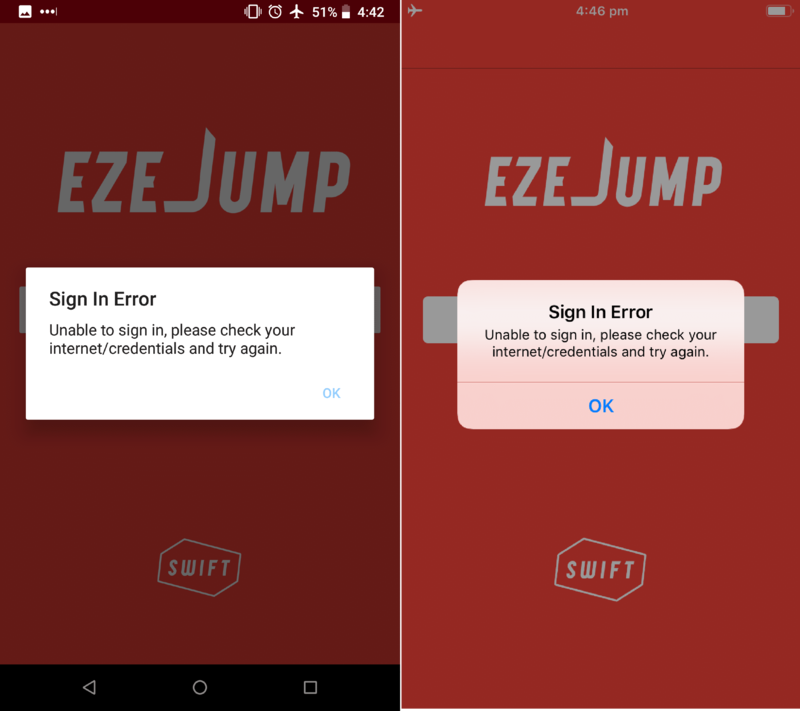 A swift labs account can be created from the sign in page of the Ezejump application. When you first open the application, you will be prompted to sign in, clicking on the “Sign in” button will initiate the application sign in. Clicking the Sign In button will open a web view to login or register for an account. 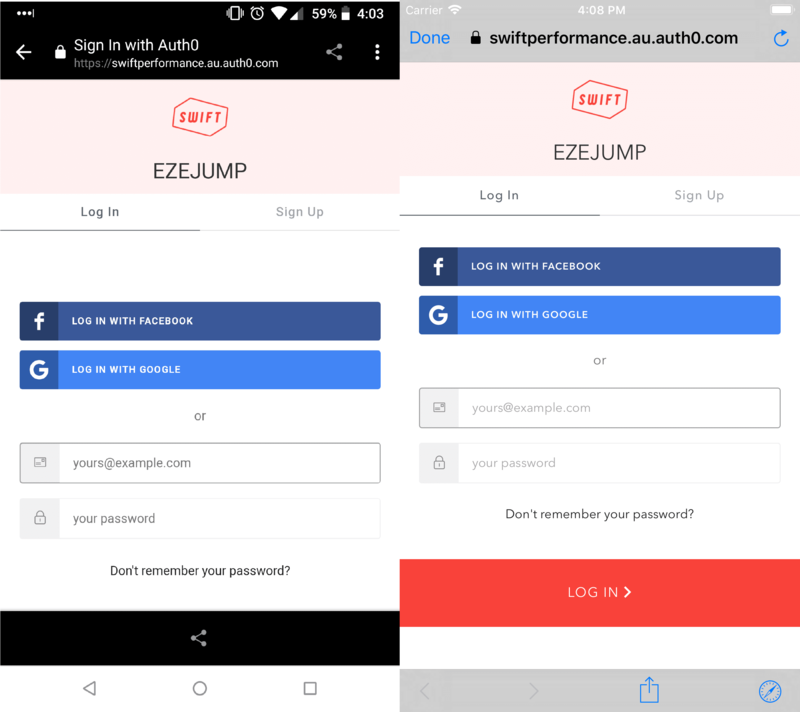 Swift Labs supports a traditional account or a social provider such as Facebook and Google accounts. Please note that although you may have the same email (example@xyz.com) with Facebook and the same email with google, they are considered difference accounts on our platform and will contain different data. To register for an account click on the register page and enter in the required details. To register using a social provider (Facebook or Google) click on the respective provider and follow the steps provided. 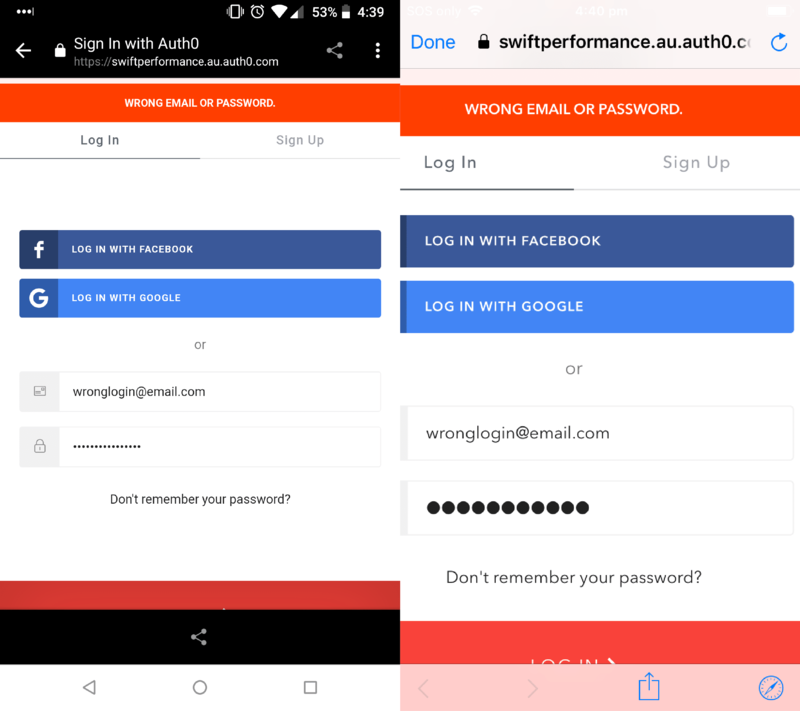 Successful login or register will navigate back to the landing page and synchronise your device with Swift Labs. Entering the wrong email or password will result in the following view. Ensure that your have correctly entered the right credentials. Please note that social accounts (Facebook or Google) will not be registered and will require clicking either the Log In with Facebook or Log In with Google button. You will receive the following message if you are disconnected from the server during the login process or have no internet access when pressing the sign in button. 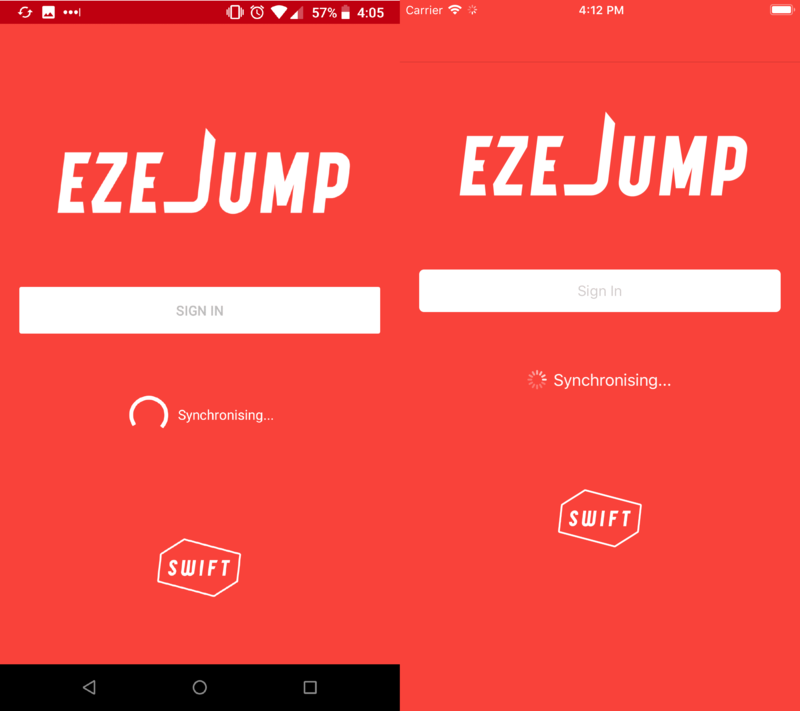 The Ezejump application requires you to be logged into Labs before using the application. 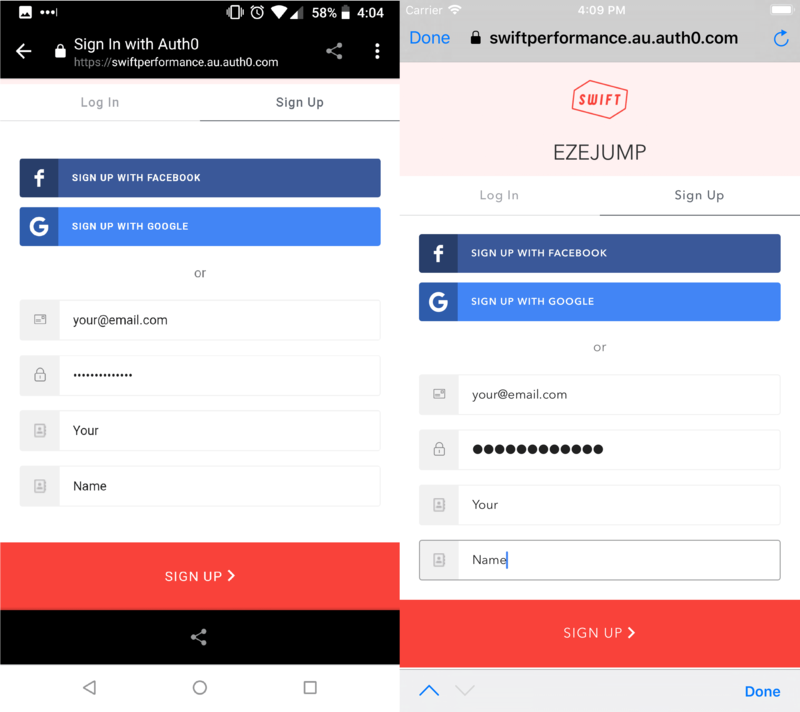 The application can be used in an offline state to be synced with Labs at a later date however does require the user to log in prior to using the application.